Currys, PC World and Carphone Warehouse make up our family of stores. Enjoy fantastic sound in your home with the LG SK8 2.1 Wireless Soundbar with Dolby Atmos & ThinQ WK7 Voice Controlled Speaker Bundle. High resolution audio creates studio-standard sound which match the original. You'll feel like you're right there alongside your heroes. 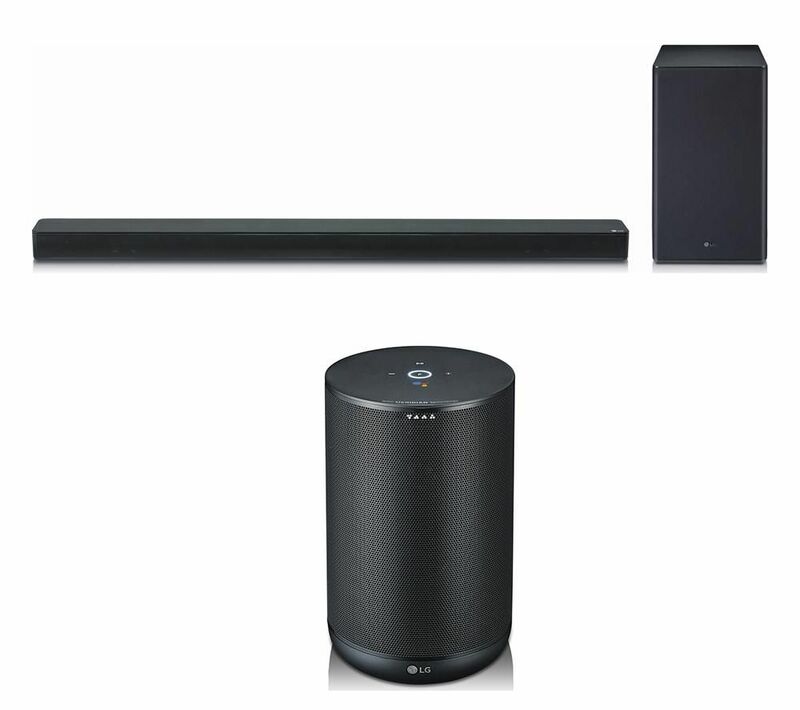 Even lower quality sound is brought up to standard by the LG SK8 2.1 Wireless Soundbar with Dolby Atmos. Dolby Atmos creates 3-dimensional sound. Beyond surround-sound, it accurately depicts the location of objects from the movie. When a helicopter flies overhead, you'll duck. Adaptive sound control adjusts the different audio levels to match what you're watching. The bass drops away during dialogue-heavy scenes, ensuring you don't miss a word, then comes back with a vengeance when the action kicks off again. The subwoofer can be set up anywhere in the room thanks to the wireless connectivity. You won't have the layout of your sitting room disrupted by trailing wires, and you don't need to worry about having enough space on your TV stand. You can connect in a smartphone too, so you can load up Spotify and give your playlist the quality it deserves. 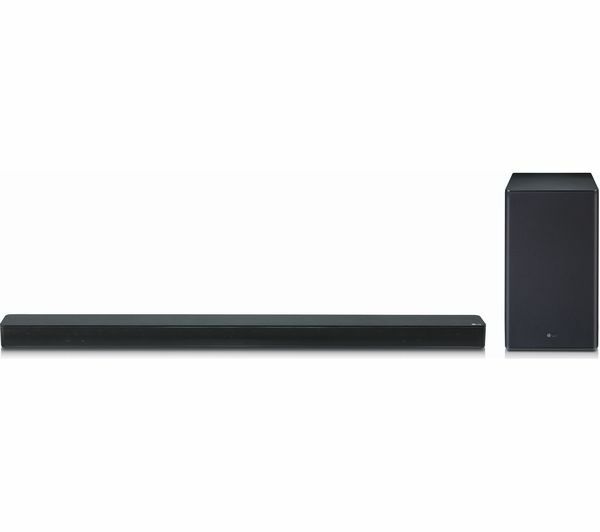 Made for 49” LG TVs in both size and design, the LG SK8 Wireless Soundbar will look as good at it sounds. It's wall-mountable too, so however you set up your living room, the LG SK8 is ready. The LG ThinQ WK7 Voice Controlled Speaker combines Meridian Sound and artificial intelligence, delivering excellent sound that's driven by smart technology. 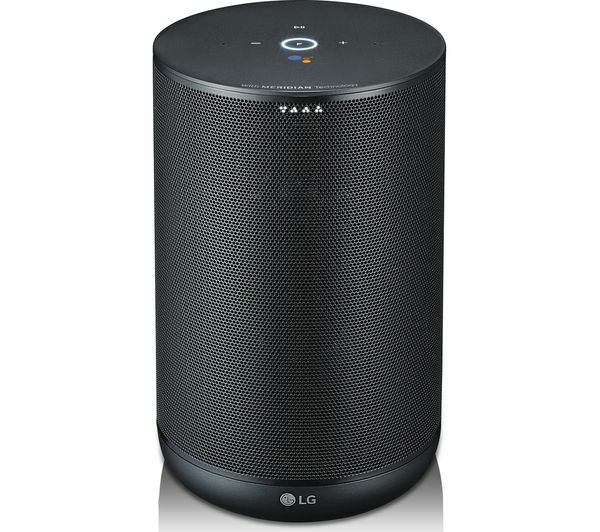 Designed and implemented between LG and Meridian, this speaker provides enhanced sound so you don't need to sacrifice sound quality to get your hands on some of the latest technology. It supports High Resolution Audio, which lets you play 24-bit / 92 kHz files for the best possible sound - in other words, it's like having your favourite artist playing live in front of you. There's nothing worse than listening to a song where the words sound fuzzy - Clear Vocal technology in the ThinQ WK7 Speaker helps to make this a thing of the past. It boosts the vocals in music, so the singer's voice sounds as crisp and clear as you'd expect, and reduces distortion if you like to listen loud. If you prefer the sound of meaty bass, choose the Enhanced Bass option. Whether it's a thumping kick drum or the melody of a bass guitar, the sound won't get lost as you're listening. Google Assistant is on hand to help you answer questions, control your smart home and organise your life. Wondering when the local shop shuts, or how long your commute is? Simply ask Google Assistant. You can ask about the weather, news, sports and much more. If you've got a range of smart devices at home, Google Assistant can help you take control without lifting a finger. Switch the lights on upstairs, turn plugs off without needing to move, or turn the heat up on the thermostat to keep everyone toasty. You can even organise your day with the WK7 Speaker. Add events to your calendar, or set yourself a reminder to pick up some milk on the way home. Google Assistant is always ready and waiting to help. Chromecast lets you connect compatible devices together to get even more from your technology. 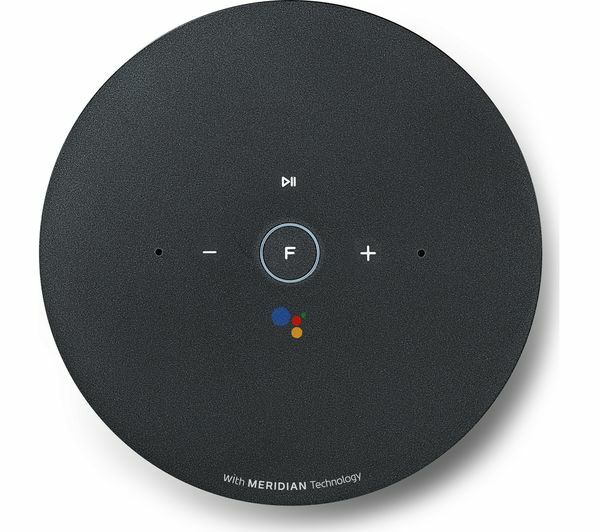 If you have other speakers or sound bars with Chromecast built in, you'll be able to stream music around your home. Make your favourite songs play throughout the house - perfect for getting everyone in the party mood. PLEASE NOTE: Wireless capability requires compatible devices. A wired connection is required to TV / DVD / Blu-ray player. All units still require a power source. Easy to set up and great sound. Have it connected through the optical lead and with a little bit of synching sound brilliant.